My Thanksgiving post is a little late, but that’s ok. I was enjoying my time visiting with my mom! 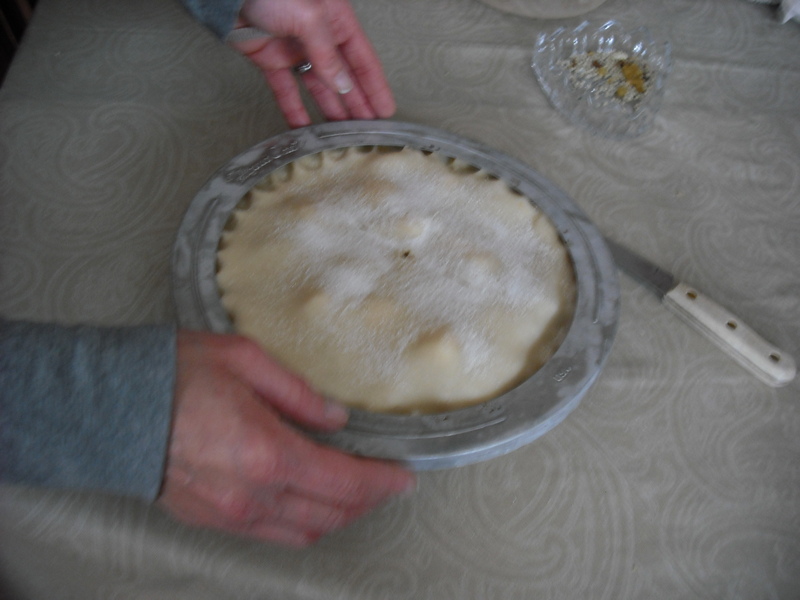 We made a delicious apple pie! This recipe is pretty simple! 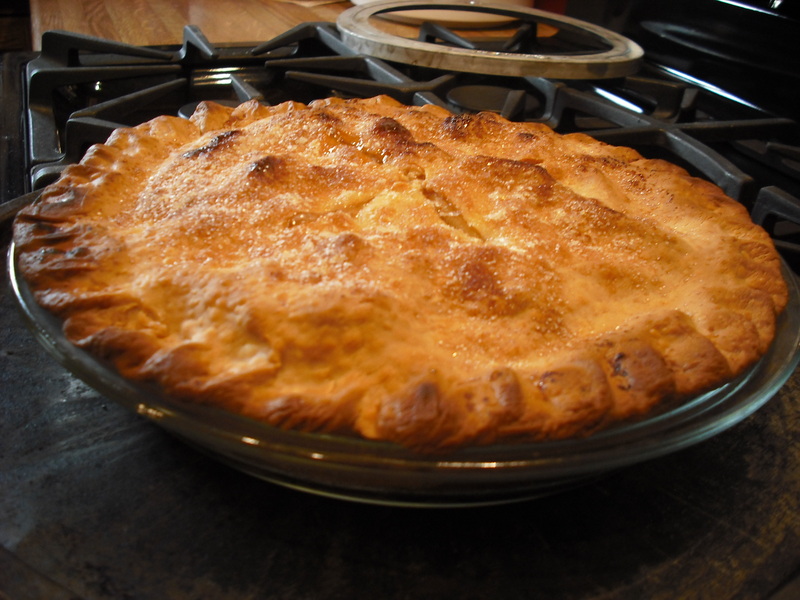 Try out my Whole Wheat Pie Crust Recipe: Here Or use your own recipe! 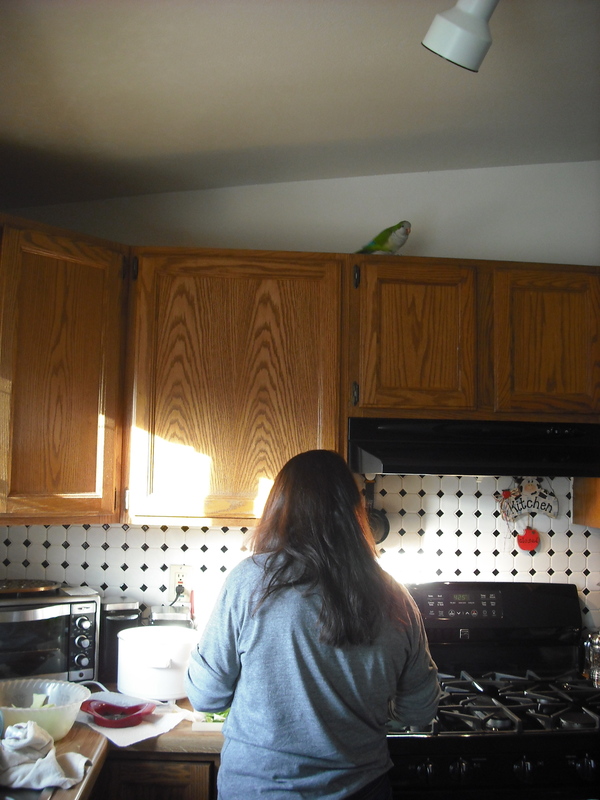 My mom has a parrot, and he loves to get in on the cooking! Mainly because he loves snagging any little treat he can get. 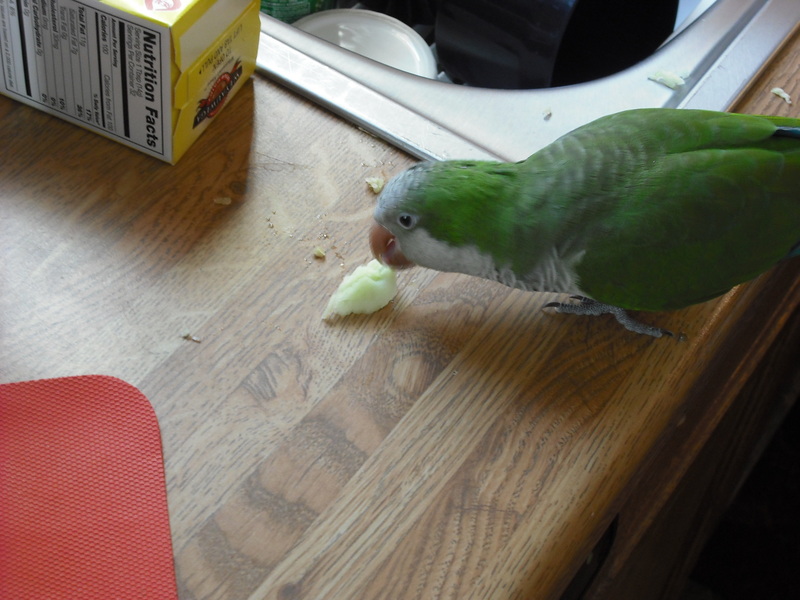 We spared an apple slice for him. Here is my mom getting our apples peeled and sliced! Acorn loves to walk along the cabinets and ‘supervise’. Mix the flour, sugar, and cinnamon together. Mix with your apples and get them evenly coated! 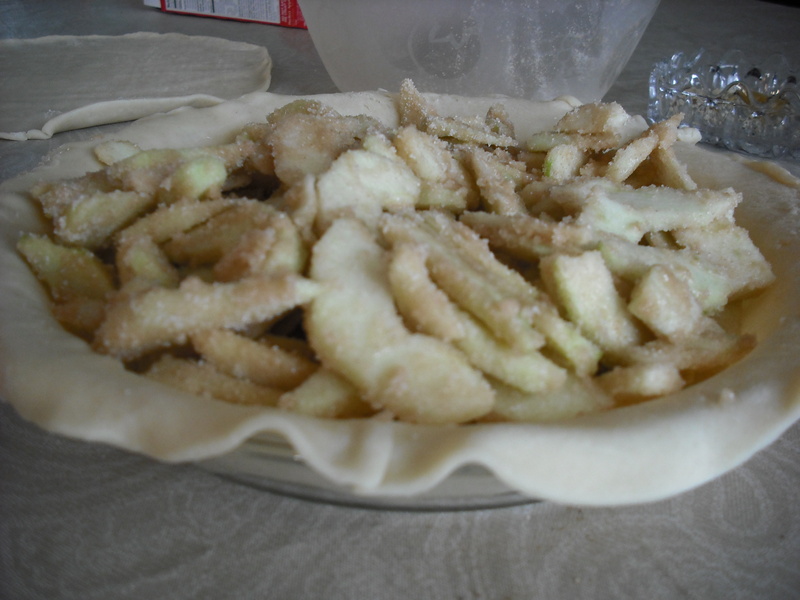 Get the bottom of your pie crust ready and toss in the apples! One of my mom’s secrets is to add in dollops of butter. She just adds a couple chunks on top of the apples. 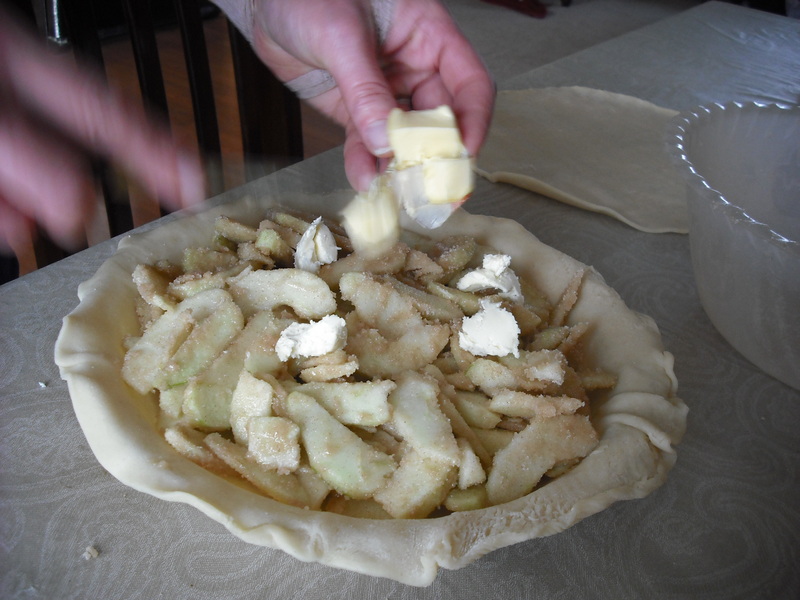 Lay your top pie crust over the apples and fold under the excess bottom pie crust edges. Then pinch/decorate as you would like! 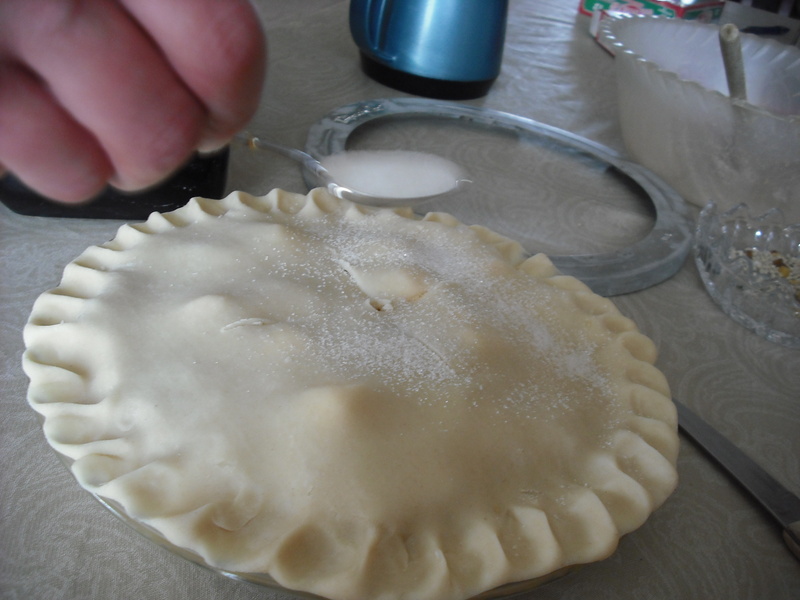 Another one of my mom’s tips is to sprinkle sugar over the top pie crust. 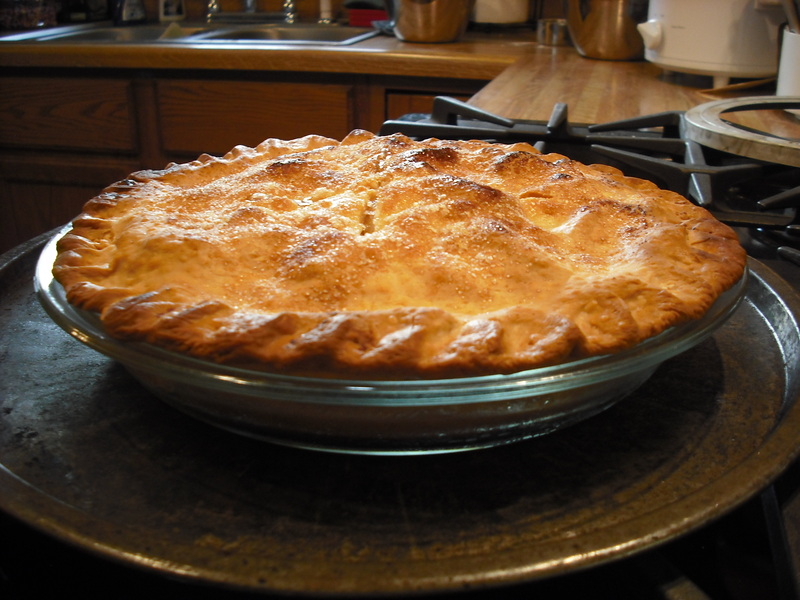 My mom swears by her pie crust cover… so if you don’t have one of these then use foil! The pie is ready to go in the oven! Bake at 425 degrees F, for 35-45 minutes, or until the crust is golden brown. Thank you so much! 🙂 It tastes as good as it looks!